The last month has been surreal. Six days a week my day is focused on TODAY’S PRACTICE SESSION. The only thing that matters is an hour or more of intense physical activity that leaves me breathless; drained and intoxicated, depleted and energized, lifted up by adrenaline and slammed down by my ineptitude. I have endured more humbling moments than I imagined possible. Last night, I finished my last training session, dropped my paddle into the travel bag, and am now trying to organize my own luggage for a new adventure – an international sporting event in which I am a participant. I am a slow twitch human; most of my sports have demanded endurance over speed, doggedness over skill and determination over talent. A marathoner, my goal was to finish before they ran out of food. A cyclist, my goal was to finish before they took the banners down at the finish line. A trekker, my goal was to keep the group in sight, not get lost and make camp by dinner. A triathlete, my goal was to finish three times in a row, hopefully in the correct sequence and on the same day. 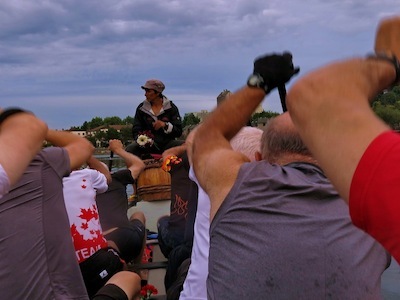 Dragon boat paddling requires a short burst of controlled, technical intensity – a 200 meter sprint takes no more than a minute, a 500 meter course requires a spit over 2 minutes. Each paddle stroke must be precisely executed, synchronized, powerful and effective. Every race requires significant shifts in stroke power, stroke length and pace. For the rest of the members of the team, many who have paddled seriously for years – five years, ten years – this is now second nature. Their task is to tweek their stroke style and execution to perfection. I’m still a few years away from tweeking. I play ‘whack-a-mole’ with my shortcomings. Coach says ‘lengthen your stroke’; I adjust, then I get out of synch with my buddy in front of me. I forget to use my shoulder and back muscles (which are apparently bigger and stronger than my puny little biceps – who saw that coming – I’ve always thought the biceps muscles were the sign of a serious athlete). I reach further with my paddle and get out of synch; I whack one mole and four more appear. At the end of my daily training session, I am drained. I drag my ego out of the waters of False Creek (the coliform count leaves it open to infection and a smell known as l’eau de False Creek). I take it home, wash it off, hang it to dry and then put it back on the next day for another practice. 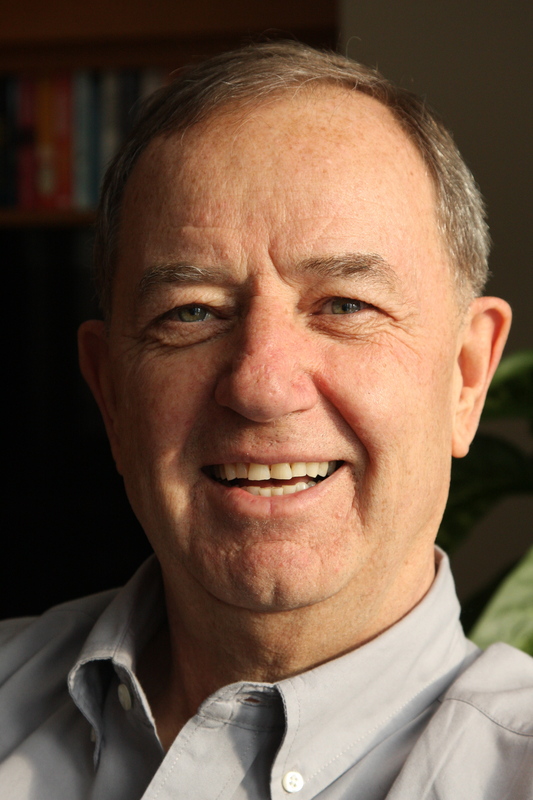 My mentor, Peter, has told me from the beginning to hang in, persist, survive, keep plugging away. He had enough faith to order a team jersey in my size well before I was accepted into the team. Persistence, consistency and determination are all I have until skill and competence kick in. My coaches are nothing if not patient. So are a supportive group of team mates. Jonathan sits behind me and offers advice, respectfully given and gratefully accepted. Regina gets me into the team hotel and manages my entourage. Pat sorts out all the paperwork to transform me into an international athlete. Peter, Ann, Wayne and Helen are my EH team core and encourage me throughout while I climb the wall of worry/learning/teaching/adjusting/whack-a-moling. The Westcoast Dragons have welcomed us into their team with generosity and spirit. Jaye and Sheryl could organize a Rolling Stones tour. Throughout, I learn about team work, discipline, persistence, humility and patience. I also learn that finishing is not the goal. Winning is the goal. That’s new for me and it’s a big change; I like it. The men took up a challenge, throw a man off the boat; we all lost enough weight to throw the equivalent of one man (a small 150 pound one) off the boat. Our coach is serious about every aspect of our training, as befitting a two time Olympian. She is dead serious on the water and demands the best we can deliver. Surprisingly, I am now ready to follow Kamini anywhere. It is intense. 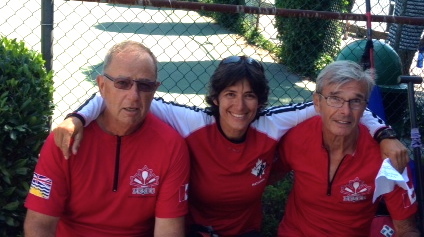 One day, frustrated by having two Bob’s on the team she asks one of us to change our name. I volunteer; it’s what rookies do. I decide to try for humor. Thinking no one can look at a 65 year old man and call him Skippy without recognizing the absurdity of it all, I say, with a straight face – ‘call me Skippy’. For the rest of the practice she tried; she really did try but it just didn’t work. It wasn’t serious enough. Finally, at the end of the practice she said, ‘I think we’ll change your name to Skip‘. Even that isn’t working, so now we are green Bob and blue Bob depending on the colour of our t-shirt at practise. Oh Well, it’s time to dump Skippy into the toxic waters of False Creek. This has been a stellar experience, a summer made memorable. I count myself as fortunate and lucky. Wish us luck, we are off to Ravenna. All photos were taken by the other Bob, a gifted photographer, a great team-mate and a stand up guy. He has graciously given permission to use them. 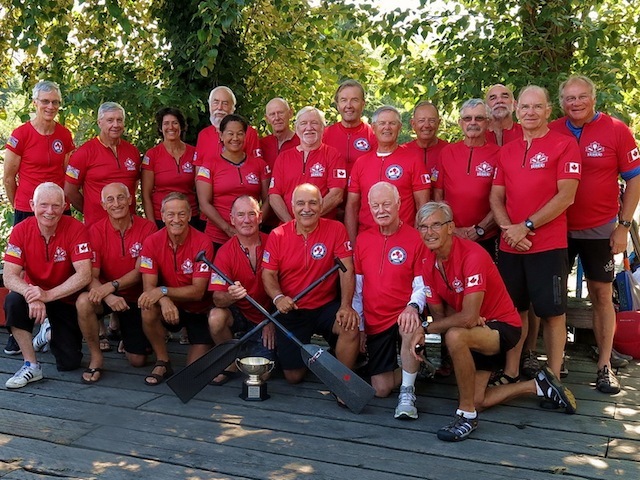 This entry was posted in Uncategorized and tagged dragon boating, False creek, FCRCC, fitness over 60, IDBC Ravenna 2014, International dragon boat, middle aged fitness, midlife adventures, Off the Couch and Out the Door, ravenna dragon boat competition, Vancouver. Eh team. Bookmark the permalink. 5 Responses to The Road to Ravenna – part 4. What a great blog!!! Best of luck to you and the team in Italy. Our thoughts will be with you. You’re definitely a real soldier, Skip. As always, very inspiring! Good luck and have a great time. I have no problem calling you Skippy! The question is; can I do it with a straight face? 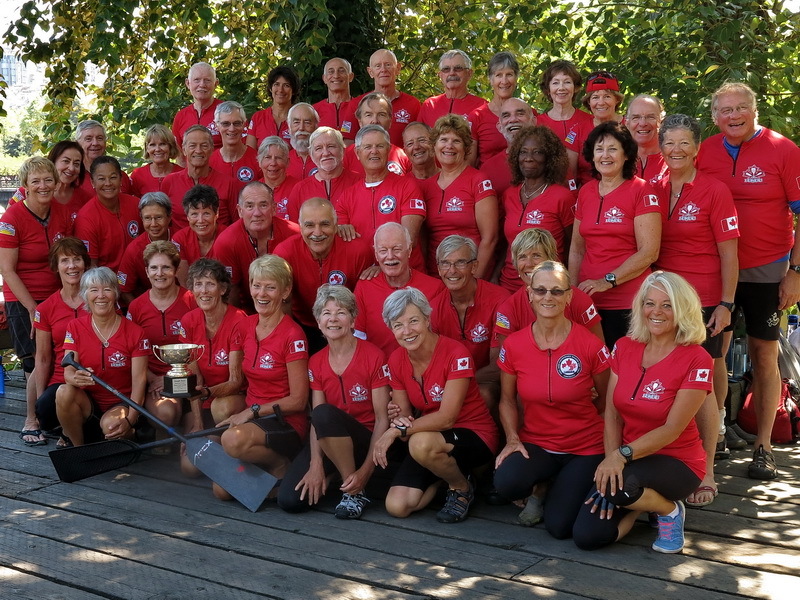 Looking forward to paddling with you on the WCD team!!! Great summary, “Blue Bob”! I think we ALL feel as you do, to varying degrees and practice-by-practice. We all feel that we’re lucky to have Kamini and, lucky to not have been that “flabby guy” thrown off the boat! See you on Wednesday and in Ravenna! Paddles up! Hi Skip, Skippy Green Bob…all better than bloody Bob! Congratulations on making the team. I wish you well on this adventure and look forward to the script.